Still looking for ways to inject a little holiday spirit around your house or office while spending virtually no money? Might I suggest the Christmas Printable! 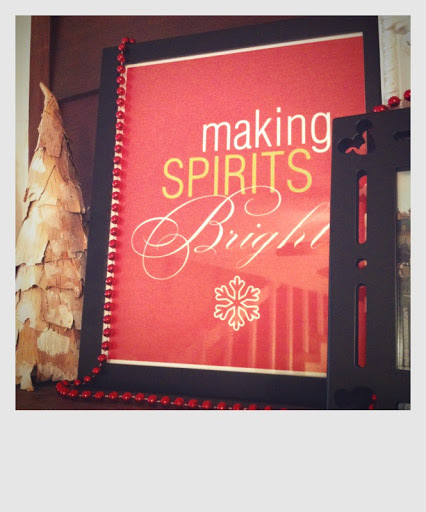 These printables are great because you can just transform a frame you already own, use it for the season, and then swap back. Free printables are a dime a dozen on Pinterest and in that case, I say “AWESOME!” You can find a printable in every possible color scheme so there’s no way you won’t find one that will make your Christmas decor at least a *pinch* more delightful. If you click through the design below, you’ll also find some pretty adorable Grinch printables I’m fond of! Ultimately, if you want it (and you have a reasonably functional color printer) it’s out there for you for free. Prints, gift tags, invitations, cards and so much more!